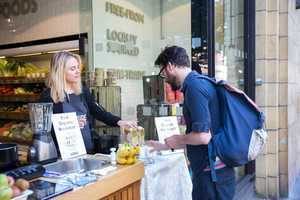 Organic UK is calling on independent retailers to join Wake Up To Organic, its annual campaign designed to increase footfall and sales of organic by promoting organic breakfast items. Over 100 stores nationwide from Brighton to Bristol, Edinburgh, London, Manchester and Norwich - have already signed up to the event, which will take place on Wednesday 13 June 2018. It doesn't matter if you only have a few organic lines in store, we can help you make the most of them and help create a simple, effective promotion to make your store stand out. - Generating extra footfall at a generally quieter time of day. - Rewarding your regular customers. - Raising your profile within the trade and in your area. - Showing you are part of the growing and lucrative organic market (organic sales via independents grew 9.7% in 2017). - Announce you joining the campaign via our social media channels and promote you around the time of the event. - Add you to the interactive map on our website, including details of your store and event. - Send you regular newsletters to keep you informed. - Provide you with a Toolkit and marketing materials to help you organise your event, including super simple no-cook recipes. - Help source breakfast products from supporting organic brands. - Advise you on an in-store display. - Be at the end of the phone/email to advise and help every step of the way.